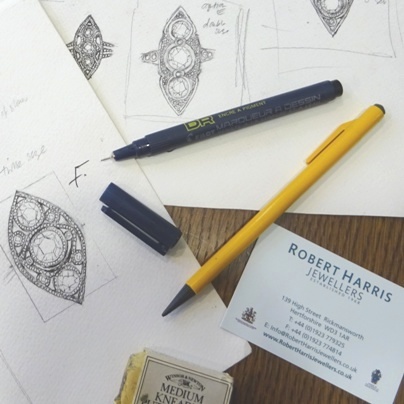 We can create a unique piece of jewellery for you whether it's brand new or using existing jewellery you have already and may not wear. Perhaps you have an item that you have inherited that doesn’t suit your style that could be re-worked into a piece of wearable jewellery that would still contain its own special sentiments. You can sit down with our designer who will sketch designs based on your thoughts and ideas and then create a cast model of your concept for your approval without any cost or commitment. Then our highly skilled goldsmith can craft your individual and unique creation. There is nothing like owning a piece of jewellery that has been created just for you, knowing that it's a totally bespoke piece. We would be delighted to discuss your ideas and requirements. Our on-site Valuer and Shop Manager Jean Armstrong has been a part of Robert Harris for 40 years. 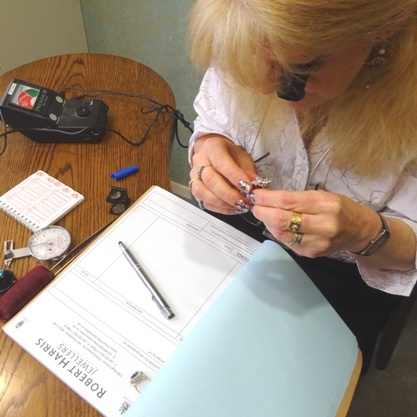 Jean has a deep knowledge of jewellery and can provide you with a full written valuation for your jewellery for insurance, probate or if you are considering selling. 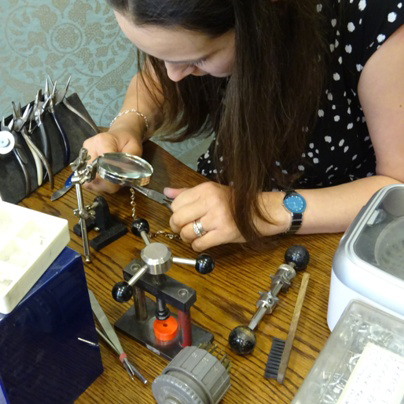 We offer a full jewellery repair and alteration service, carried out by our highly skilled partner workshops. Some simple tasks can be carried out in our on-site workshop often while you wait. Through our partner watchmaker and horologist we offer watch and clock servicing and repairs. All work is completed to a very high standard and is fully insured and guaranteed. We also fit and supply watch batteries and straps, shorten watch bracelets and re-string pearls.